A MUDJIMBA man who tried to fight a council fine has ended up forking out more cash in court fees than he would have paying the fine. Martin Ross pleaded guilty in the Maroochydore Magistrates Court to one charge of control of an animal in a public place. 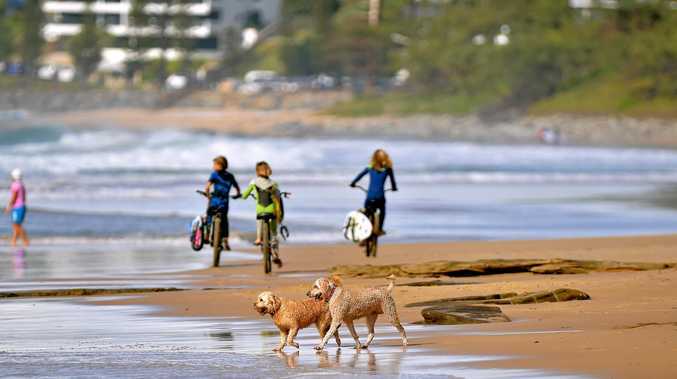 Ross was slapped with the fine on June 18 by council workers when he was seen walking his daughter's Cavalier King Charles Spaniel, Joey, near a beach access at Mudjimba. Joey was not on his leash. Ross was fined $243. Ross went back and forth with the Sunshine Coast Council trying to get out of paying the fine. His excuse was the readability of the access sign was poor and he didn't know the dog-walking rules. Does dog walking signage need to be made more clear? This poll ended on 23 March 2018. Yes. If everyone's walking their dogs off-leash, signage needs to be improved. No, the signage is fine. People just need to pay more attention. I don't read the signs, I just do what everyone else is doing. He said he had been walking the route for more than 30 years and always saw residents walking their dogs off-leash. But Magistrate Haydn Stjernqvist said ignorance of the law was no excuse. He said Ross was just unlucky that council workers just happened to be in the area when he was walking his dog. Mr Stjernqvist ordered Ross to pay the full fine and $192 towards the council's court fees.